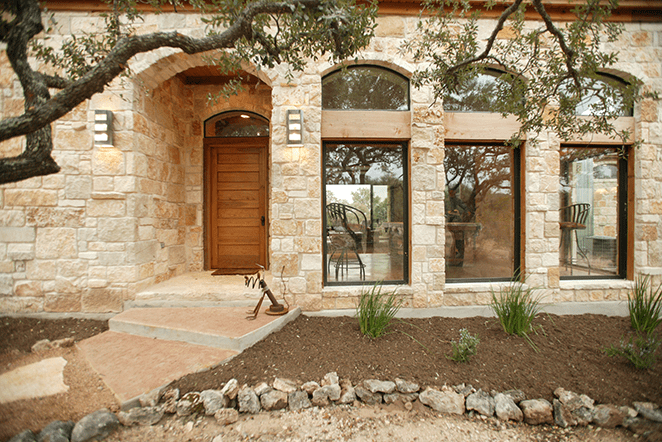 A highly personalized custom home with whimsical touches. 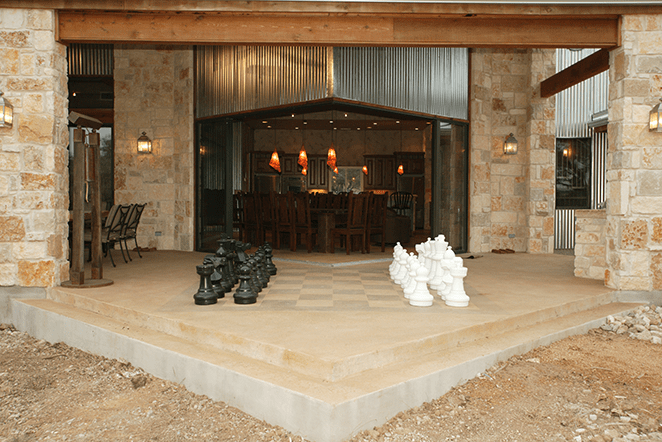 A whimsical approach to interior design as this Austin client utilized a manhole cover, forks, knives, spoons and scattered coins in the concrete floors. 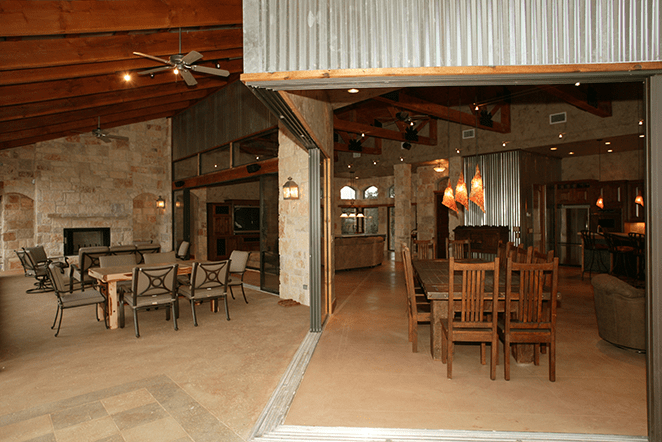 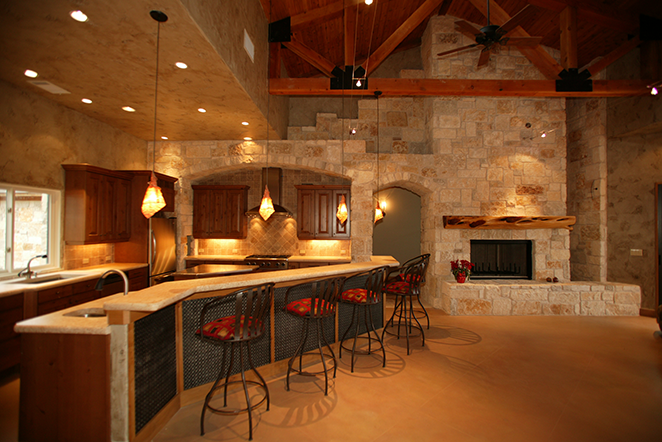 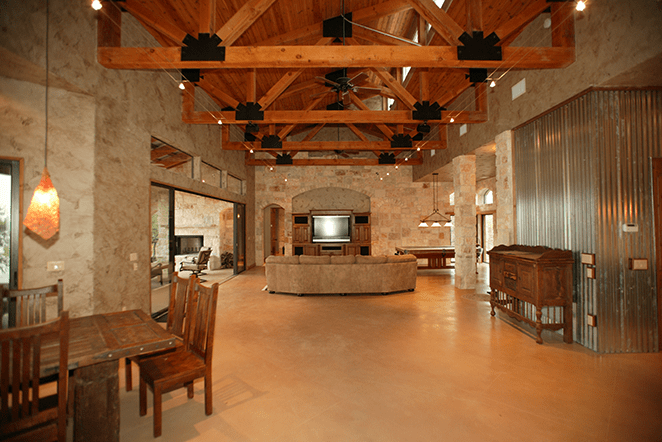 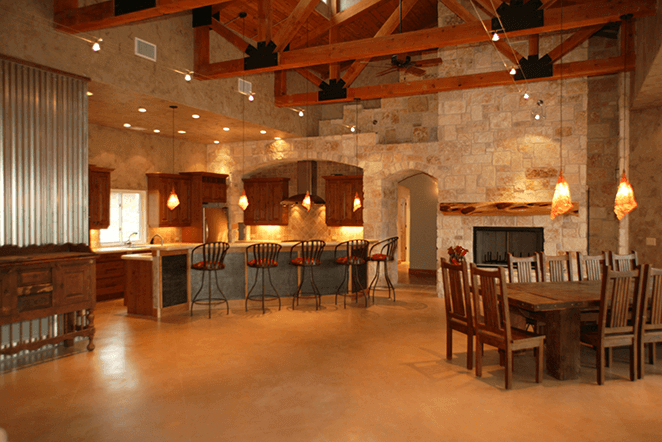 A great room with soaring ceilings complimented by stone walls, heavy beam trusses and gourmet kitchen provides a comfortable station for a weekend getaway. 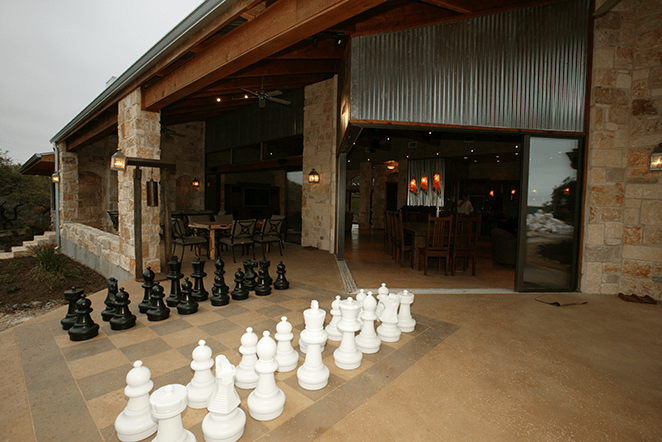 The outdoor oversize chess board for the guest when they aren’t at the stable riding or on the jet skis is a easy stress release. 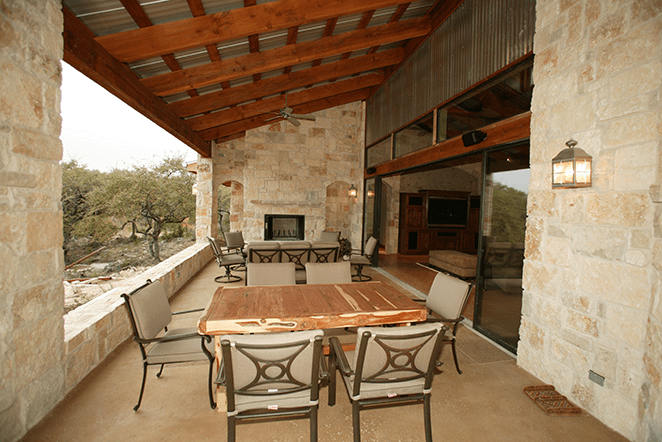 The third floor cocktail lounge offers distant views of the Texas sunsets.